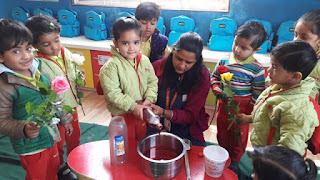 The little wittians of Nursery,WIS were introduced to Rose flower with the help of real flower and flash cards on February 13,2017. 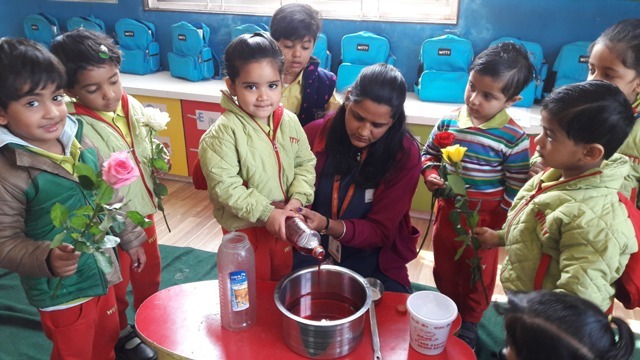 The kids learnt that roses are of different colours such as red, yellow, white and pink. They also did the worksheet of rose. The little wittians made and tasted Roohafza. 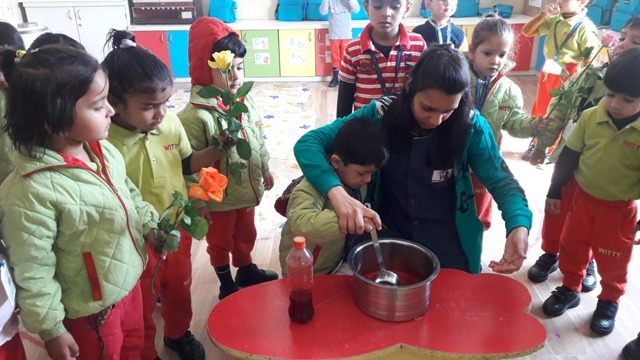 Through this activity, kids learnt that roses are of different colours and roses are used in making different things like Roohafza.